Due to disagreements over curriculum, religious differences, personal preference, and many other factors, homeschooling is on the rise nationwide. The National Center for Education Statistics estimates that in 2016, about 1.7 million school age students were homeschooled, equaling around 3.3% of the school age population. 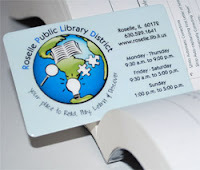 With so many students learning outside of traditional schools, we at the Roselle Public Library want to help make sure that homeschool students also have access to educational resources that might often be provided by school libraries. In the library, we have many resources that are available to the public. This includes things like WiFi, printer access, free scanning and a fax machine. Whether or not you are a Roselle patron, you are welcome to access our online research databases in the library. If you are a patron, you can also use your library card number to use our databases at home! We also have links to homework help resources that may be useful in studying math, science, or social science, and we have many textbooks used at local schools for in-library use. We are also able to request materials we don't have from other libraries, so let us know if there are materials that you would like for us to find. If you are a Roselle patron, you also have access to Museum Adventure Passes, which allows discounted and free admission with a pass to specific area museums (because who doesn't love field trips?). We also offer a ton of activities! Check out our newsletter, Library Access, for more information on upcoming programs! Anything that says "drop-in" does not require registration or a card; it just requires you to come in and have fun, like our LEGO MY LEGO drop-in LEGO program, which will be from 12-2 PM on December 26, January 15, and February 19. 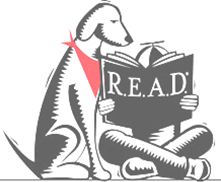 We also have educational programs like our upcoming Read to a Dog program, which will take place Mondays in February. Registration begins January 22 - no library card is necessary, but we do need to know how many people are planning to come, as we only have a finite number of dogs. Regardless of your reasons for homeschooling, the library would like to help connect you to the resources that you need! If you are a parent who is homeschooling, please take a moment and take our survey. We are trying to figure out the best ways to help and would love your feedback! If you have any questions, comments, or suggestions, please feel free to contact our Youth Services Outreach Librarian, Stephanie Forrest, at sforrest@roselle.lib.il.us or 630-526-1641 x333.